Is this the right formula for you? Micabella Cosmetics look great on any skin type, and you can rest assured you won't find any additives or harmful ingredients in their products. After realizing there was an ever growing demand for beauty items that weren't harmful to either the wearer or the environment, Micabella was founded in 2001. Their vision was to design a makeup line that contained only 100% natural ingredients, while still maintaining the high standard of quality and production expected from a well-run cosmetics company. The formulation of Micabella is safe for the most sensitive skin, and is free of any chemical dyes, oils, preservatives, or anything else that can irritate an otherwise pretty face. With Micabella, you'll also enjoy a high level of antioxidants, which can prevent signs of aging and the risks of skin damage. This company started selling their products in malls and salons in both Europe and North America, and now they are an international leader within the makeup industry. Visit their official website to learn more about Micabella, and how it can help you make the most of your gorgeous features. Not sure what to try from Micabella? The items listed below are favorites of customers, and you'll love the way they'll boost your self-image while protecting your skin from common damages. From pale Porcelain to the dark Chocolate Kisses, Micabella goes beyond appealing names and provides you with a great product to serve as a base for all your other makeup. 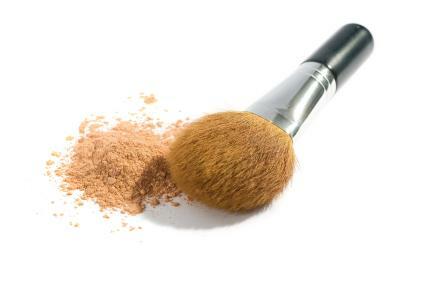 Pure minerals that are oil free for the most natural of looking coverage, this finely ground powder is 100% natural and can be worn either alone or with other Micabella products. Since Micabella started out with a vision to create makeup that didn't bring unnecessary damage to the skin, it only makes sense they would also generate products that work toward improving the skins condition while taking further preventative measures. From this philosophy, the Micabella Cosmetics skincare line was born. From moisturizer to repair serum, you will find a small selection of quality skincare items available for purchase via their website. The Cleansing Milk, for example, is made with orange blossom extract to tone and soften the skin naturally, while helping to wash away the day's wear and tear. The toner will refresh and comfort your skin, using a unique combination of plant extracts including Ginseng and Rose Petal. Micabella Cosmetics has done well because they go out of their way to provide a positive experience to every customer. With live support found on their website, and a credo published there as well, customers quickly get the impression that this is a company that cares about the sale from start to finish, instead of simply giving you a product and sending you on your way. Since Micabella started out as a mall line, you can still find it at many mall kiosks. If your local mall doesn't carry this brand of cosmetics, you can order through their website, or contact them directly for wholesale information.